Me, too. - sister-hood magazine. A Fuuse production by Deeyah Khan. 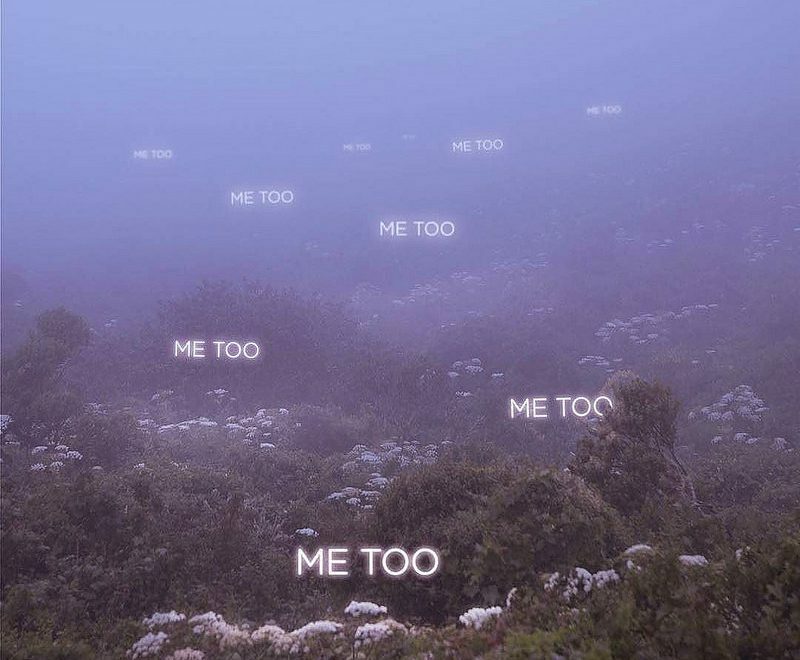 It’s been a while now since the ‘Me Too’ hashtag materialised and honestly speaking, I’ve been mulling over the stories I’ve read and heard far longer than I should. Today, I am ready to share the story of someone I hold very close to my heart (who wishes to remain unnamed due to the fact that there is an unfortunate backlash that seems to come along with sharing stories of this nature). The reason for this is less about ‘jumping on the bandwagon’ and more to emphasise the fact that each and every single one of us carries a story deep within that threatens to strip us and lay us bare before our vulnerabilities. I was about 10 or 11 years old when it happened. Between you and I, I didn’t even realise something so life altering had taken place at the time, because of the way I, and the people around me, handled it. It is only in recent years when I have been attempting to pursue friendships with the opposite gender that I have realised just how deeply rooted in my psyche this moment had become. I remember the evening like it was yesterday. It started with my father getting all of us siblings to dress in our most modest-looking attire – luckily for my brothers, that just meant ditching the shorts for a pair of jeans, but for me it was a whole different ball game. Dressed in a salwar kameez that was clearly too big for me in every possible way, and a dupatta wrapped loosely around my head, I looked presentable enough to come out in front of his uber-religious uncles – who, by relation, were technically my grandfathers. They were already sat on the sofa with a coffee table in front of them, covered with an array of snacks, (my mother loves to be the hostess with the mostest) when I walked into the room and said my ‘salaam’. Having always been on the quiet side – especially in new situations – this was more of a mumble before I shuffled into the kitchen to sit on the counter and watch my mum fuss over tea. I took frequent peeks into the living room to see what these men could possibly be talking about (not that I cared) and found that each time I did, the younger of the two men held my gaze in the most uncomfortable, stomach-twisting way. But, I wasn’t easily scared and returned every look with as much ferocity as my young self could muster. Of course, these interactions went unnoticed by everyone else. A little while later, my father announced that it was time for Maghrib (sunset) prayers at the local mosque, and that if they wanted to make it in time, they’d need to wrap up now and start walking. So very quickly they all got their shoes and jackets on to leave – but the younger one remained a few seconds behind them, turning to me to hold my hands in his and say ‘dada gya ay’ (kinda like ‘I’ll be back’, but referring to himself in the third person as dada means grandfather in Bangla). At the time, it was a bit weird, because I was always the kinda person who hated physical touch of any kind, but I shook it off. They returned from their prayers, and while my dad and the older guy sat talking to each other, the younger one announced that he would love to see the building that we lived in and so my father asked me if I was okay with ‘giving a tour’. We lived in a building with five floors so there honestly wasn’t much to see. I agreed. We walked out of the front door and he decided to hold my hand. Again, this was weird but I was (am) also the kind of person who doesn’t like to cause any deep offence unless necessary, so I let it pass. It was only hands after all, and he was an adult and I was just a child. We walked towards the landing and I gestured towards the lift button and he said ‘na, amna siri di zai, gor balatike dekhazaybo’ (no, let us go by the stairs; we’ll be able to see the house better). As we were climbing the stairs, his hands roamed my body over my clothes. At this point I squirmed a little but made no audible sound. He repeated ‘bala lager ni?’ (does it feel good?) over and over as he reached different points, and I said no, but he said ‘ami dekhay’ (let me show you). By now we had reached the fourth floor and he decided to put his hand down my salwar (trousers). I tried to move away, but he held me firm. He walked towards a wall, pushing me backwards until I reached it, placed the hand he was using to hold me on my right and leans into my left, moaning as he ground his clothed body against mine, saying ‘tumi khoto bala furi’ (you are such a good girl). I remember the stillness that washed over me in that moment, as though my soul had stepped out of my body, which was being desecrated by this filth. I stood in silence with an absent look across my face as he continued. As he finished, he let his thumb drag itself across my lips and said ‘tumi toh zeh shundor furi, khewre khoyona itar khoto’ (you are such a beautiful girl; don’t tell anyone about this). He wiped his hands on his thawb, stroked my cheek and said ‘amne one goro zaygi’ (let us go home now), letting me lead the way. And for some reason, that was enough. I knew that this man of God would use his religious façade to maintain his character, while it would be mine that would be dragged through the mud. And so I walked over to my bedroom, locked the door, and stayed there until he left the next evening. It was in that moment that I knew that while it seemed as though everything had changed, nothing had changed at all. The only thing that was different was me, and given the reaction of my mother (and later, my father), this was not a difference worthy of celebration, but one of great shame. While I commend my friend for stepping out to share this story, I know that it is only the tip of the iceberg. People like him have been using the face of religion to get their selfish way for eons now. It is important to know that it is not blasphemous to speak out against them. We all have a story, but it doesn’t need to be a weakness. Do not let anyone shame you for what you had no control over. Use the position you are in now to right what has been wronged and let your present actions heal you. 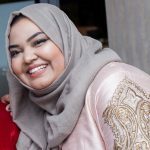 Ayesha is an Education student at UEL with a passion for writing, cooking, and photography. Her particular writing interests include topics surrounding Mental Health, Female Empowerment, Easy Cooking, and self-fulfillment. She hopes to one day teach and change the world a student at a time, but for now is happy inspiring her friends and family to cook quick and easy food through her Instagram.